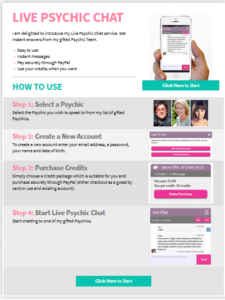 Our team at FLQ Psychics offers some of the most reputed psychics, clairvoyants, tarot card masters and healers among other mediums. When you opt for psychic chat readings or astrology readings you can be assured of our vast experience of more than 50 years in the field of divination and astrology. Whatever your query or concern our experts will be able to guide you to the most effective solution to any problem you might be facing. Whether you are facing hurdles in your relationships, career hindrances or financial challenges, we can guide and help you to overcome each of them successfully. Our team is available 24/7 all the days of the week so if you need a quick numerology readings or comprehensive astrology readings we are here to assist you. Are you worried about a forthcoming college or job interview? Have you met somebody who seems like the perfect soul mate you long searched for? Whenever you need an accurate and swift answer to such queries but do not have the privacy or time to speak on the phone, there is the online chat option to try. You could even make it simpler by texting an SMS message to members of the FLQ team who will be delighted to help you any predicament you might be in. Chatting or SMS messages are easy to send at any part of the day or night and perfectly discreet. You no longer have to wait in a long queue on the phone and can be sure of a swift response to your message. This facility is only available to New Zealand residents for the current time. Career: Concern about the direction your career is headed and wondering whether you should switch jobs or stay on. Relationships: You have met somebody new and exciting and are curious to know if they are the right one. Will it be true love or just meant to be a friendship? Shifting overseas: Are there any opportunities of shifting overseas and would it be worth it. These are just a few of the many areas where we tend to be indecisive and unsure and being able to make an informed decision will be a major help. The answers you receive from the IM Chat Psychic Readings NewZealand will be precise and to the point, as they are provided by spiritual psychic readers with years of experience and gifted with divine sight. Whenever you are faced with an on the spot decision to make and unsure about the outcome, this is the best way to have your concerns resolved. All your information is kept confidential and no information is shared with any third party.